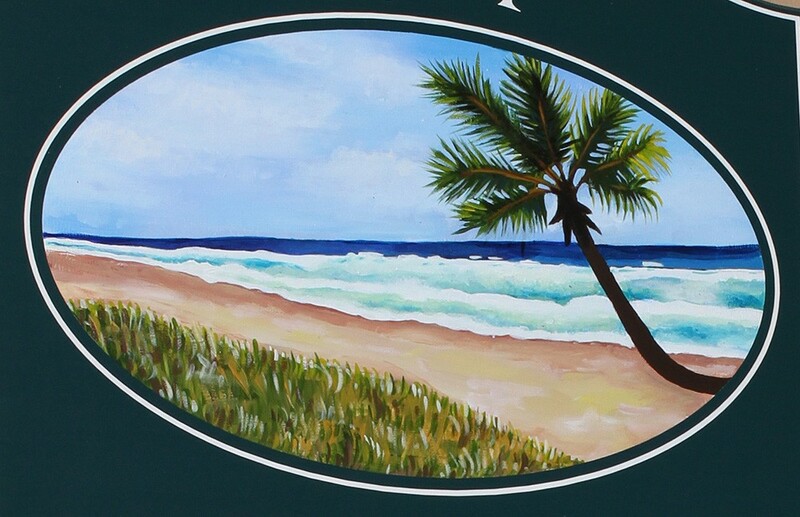 Beach house signs are one of the most popular types of signs we make, and this shouldn’t come as a surprise. For anyone lucky enough to have the chance to live near the sea, or even visit the sea occasionally, there is an irresistible attraction that calls us, creates wonderful memories and continually wants to pull us back. The peace of watching waves lapping on the shore, the fascination of seeing the power in the water after a storm, the ever-changing colors of sea and sky, the wonder in imagining all that lives and moves under those waves – and then the companionship of sharing all this beauty with friends and family – all this and more is part of the experience at the ocean, and people strive to capture it in a sign. The Fripp beach house sign shipped to Gastonia, North Carolina – but probably ended up hanging right on the beach somewhere. 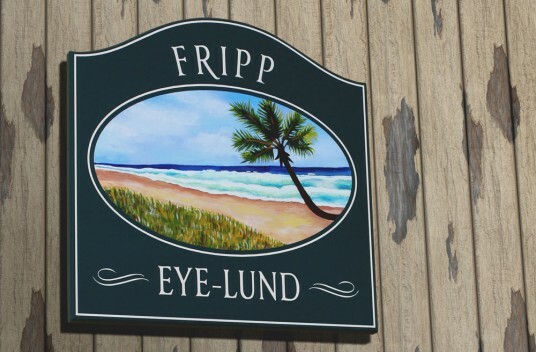 What made this sign especially fun was the fact that the customer was able to completely design his own custom sign using Danthonia’s sign designer website. The colors, font, accents, edging style, shape, hanging system, texture, artwork and size were all chosen from among literally hundreds of options, and the price showed live, so he could budget his project as he went along, with no surprises at the end. He could save as many revisions as he wanted, to send around to friends for feedback if he wanted, and when he was ready, he ordered it online, giving any additional instructions he may have had. Within 24 hours, a refined design proof was emailed back for his comments and final approval, and the sign went into production. The finished sign was delivered in three weeks time. The artwork is hand painted directly on the sign surface (no decals or printing in our shop), and the chosen texture was brushed, giving a wood look. A beautiful sign that will weather at the ocean for years to come.